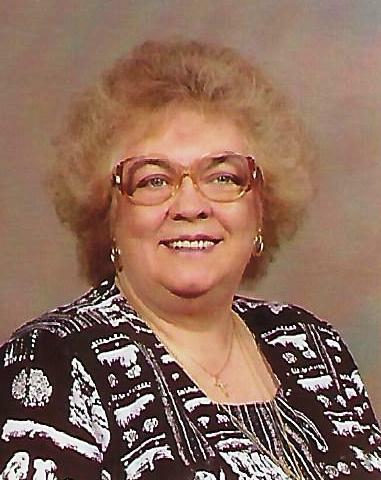 Linda P. (McCoy) Craft, age 72, of Marion, passed away Wednesday, March 20, 2019 in her home. Linda was born June 11, 1946 in Pike County, Kentucky, the daughter of the late Vernon McCoy, Sr. and Edna (Bowman) McCoy. She was a graduate of Carr Creek High School in Knox County, Kentucky where she was a member of the History Club, Glee Club and the Spanish Club. She married Bill Craft on June 17, 1966 and he preceded her in death. Linda was an office manager for the offices of Dr. John Vogel, Dr. Wendall Bainbridge and also for Prestwick Square Apartments. She also sold Avon products for 35 years. She was a member of the Calvary Assembly of God and was founder and president of the Sunshine Ladies Club. Linda enjoyed cooking, entertaining, reading and spending time with her family. She also loved doing crossword puzzles and listening to good music. She is survived by two sons, Kenneth W. Craft of Marion and Michael R. (Sharen) Craft of Lexington, Kentucky; a daughter-in-law, Kathy Craft of Marion; a brother, Vernon McCoy, Jr. (Susan) of Marion; a sister, Eveline Wyatt of Marion; two grandchildren, Katelyn Nicole Craft and Zachary Michael Craft; and several nieces and nephews. Linda was also preceded in death by two sisters, Norma Jean Wolford and Bertha Cornett; infant brother, Frank Tracy McCoy; brothers-in-law, Eddie Wyatt and Arthur Wolford; special aunt, Vernie Barker and nephew, Eddie Wolford. Friends and family may call from 11:00 a.m. to 1:00 p.m. on Monday, March 25, 2019 at Raven-Choate Funeral Home, 1202 W. Kem Road, Marion, Indiana. Funeral Services will begin at 1:00 p.m. with Pastor Johnny Garrison officiating. Burial will take place in Grant Memorial Park Cemetery, Marion, Indiana immediately following funeral services.